Ron Czecholinski from DIY Home Building is in the process of putting together a tiny house community, and is currently doing his due diligence in choosing a piece of land. The property he’s seriously looking at is six undeveloped lots in Asheville, North Carolina that have the potential for 6 to 10 small houses. Below is the location in a Google Map with a very rough outline of the property. The plat map below will give you a better idea of the property Ron is considering. Local zoning will allow one main house with a studio apartment (attached or in auxiliary building) on each lot. The homes would follow standards for North Carolina Healthy Built certification which include energy efficiency, non-toxic materials, and resource conservation. The houses will likely range in size between 300 and 700 square feet. The expected total cost of construction will be about $200 per square foot which will make the total estimated cost between $60,000 and $140,000 per house (or around $200,000 per lot). At this phase Ron is looking for people that might be interested in joining him on this adventure. He invisions the community leveraging a light version of co-housing, a model for intentional neighbors. He would also like to setup a Sociocracy to help facilitate community decision making. While he has an interest as a founder and developer, anyone getting involved at the beginning will have an opportunity to help shape the initial community structure and house design. Ron has been an owner-builder and professional contractor for over thirty years. Learn more about Ron Czecholinski on his website. If this sounds like a project you’d like to participate in contact Ron directly. Below are some photos of Ron’s more recent renovation project. This entry was posted in Community Design and tagged Asheville, DIY Home Building, North Carolina, Ron Czecholinski, Tiny House Community. $200K is not the kind of price point that anyone should be targeting for tiny houses. Few can afford that amount in cash and to finance is to be in debt = enslavement. I could buy a “full-sized” house with acreage for half that amount in Texas. Thanks Nan. I think you’re right, a lower price point is very obtainable. I hope that this is the same feedback Ron is hearing from other folks. It could be that this particular project’s objectives could be modified to accomodate a lower price point. At the very least throwing an idea like this against the wall might inspire others to work to do better. For clarity, I am targeting a price point of under $70K for a tiny house up to $200K for a small house with auxiliary apartment/cottage. The goal is to use current zoning options and conventional construction to create an affordable option for small houses built in community. The projected pricing is in relation to property value and current construction costs in the area. This absolutely could be done for less (or more) – depending on local values, costs, construction materials and methods, and owner builder involvement. I would be glad to help you do better than this. I would love feedback on how to modify it. Currently in Asheville, the smallest new green built homes are in the 1200 sq.ft range and sell for around $240K with lot and infrastructure. The only thing this project is doing is offering a smaller version in the same square foot price range. Cost of land and labor is the same. Some options I see to reduce costs are owner builder management of the project, hands on owner builder construction, building in a rural area or other location where land costs and labor are less expensive, building with low cost but labor intensive methods like earthbag and cob. But how could you build for less in an area where the prices aren’t “half” for a full size house and acreage? In that area of Texas, maybe this could be done for half. In areas of California it would probably be half again. For starters, stop building with wood. The East Coast bias against building with earth, sand and straw will soon have to die of necessity. I don’t understand the idea that earthbag and cob are labor intensive. Do stick-built houses assemble themselves? And yes, owners will have to stop playing with their iPhones and start picking up a shovel. 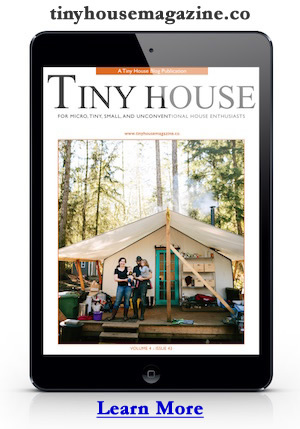 The tiny house movement should be about more than just lowering costs. It should be about taking responsibility for the impact of our choices. When I couldn’t find the land I wanted at a reasonable price in my area, I went where I could find it. I’m 50 and that 60-140K defeats the purpose of why I would want a tiny house in the first place. Won’t be moving to Asheville anytime soon. I thought what a great idea, until I got to the cost. Guess I’ll keep looking pretty rural, or check out the ADU codes in town. Just ouch!!!! I’m trying to ditch the mortgage rut so I can enjoy my life, grandchildren, etc. I wouldn’t have the time to do any of those things for that kind of mortgage. I think quite a few of the older tiny house wanna-be’s and current dwellers are of that mindset from what I’ve read in the numerous blogs and sites I follow. I do think the idea of a tiny house community is fantastic though!